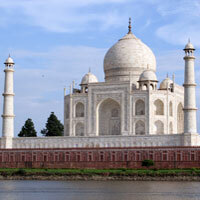 07 days Golden Triangle India Tour is one of the special Golden Triangle Tours of India. Golden Triangle India Tour is meant for those elite tourists who leisurely but well-nigh exhaustively wish to explore the best monuments of three northern Indian cities of Delhi, Agra and Jaipur. Delhi & Agra are more associated with grandiose Mughal era monuments, including Taj Mahal. Delhi showcases more of the aspects of a cosmopolitan city whereas Agra representative of best monuments, including Fatehpur Sikri, of Mughal era. But, real aspects of cultural vividness is palpably felt in Jaipur, Rajasthan. Speciality of Golden Triangle India Tour is a longer stay in Jaipur, a short detour to a historical village of Abhaneri in Rajasthan, an indulging sightseeing tour of all major forts and palaces of Jaipur to see marvellous gems of art and architecture, enthralling visit to two iconic temples to be witness to two different forms of ‘aarti’, and without missing museum, solar observatory and never-to-be-missed colourful market. Hence, a relaxed and thourough exploration of Jaipur makes Golden Triangle India Tour one of the shortest but truly culture and heritage tour of north India. Get welcomed on arrival at New Delhi airport in warm and traditional Indian way- garlanding with ‘tika’. Our representative will cordially receive and transfer you to pre-booked New Delhi hotel. We do understand that after a long journey and obvious jet-lag, you need quick & easy check in at the hotel to relax properly. 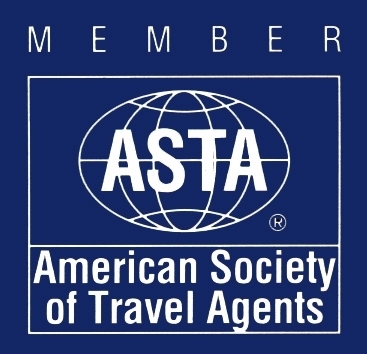 Our representative will ensure smooth check in at the hotel. As most of the international flights land in India at late night, so have sound sleep in Delhi hotel to get relaxed for the sightseeing tour of Delhi next day. Day 2 Old & New Delhi sightseeing tour. Having rejoiced scrumptious breakfast in New Delhi hotel, proceed on for Old & New Delhi sightseeing tour along with Delhi tour guide. Delhi, presently capital of India and one of the fastest growing and developing metropolitan cities of modern era, is probably the richest capital in terms of historical and centuries old monuments and heritage. The Old Delhi tour encompasses visit of Red Fort (remains closed on Monday), Jama Masjid (distinctly visible with its huge patio and marble domes), Chandni Chowk (consists of a maze of narrow alleys) and Akshardham Temple (remains closed on Monday). 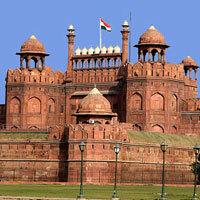 Post lunch session of sightseeing is scheduled for famous monuments of New Delhi. New Delhi is the modern part of the city built by the British in 1911 as an administrative headquarters of the British Raj. 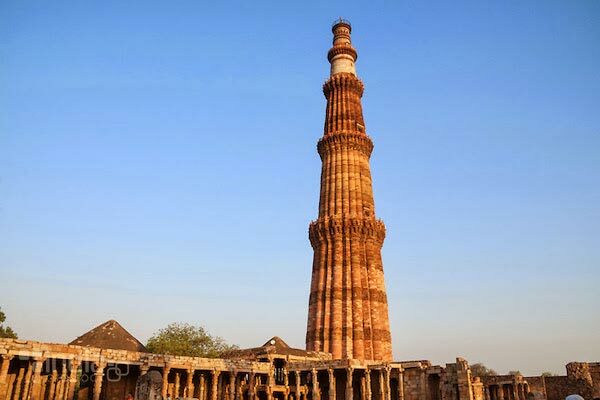 The tour includes India Gate, Rashtrapati Bhavan (President House), Qutub Minar and Sansad Bhavan (Parliament House). President House and Parliament House are the monuments built by the British during colonial era. Later on, in the last leg of Delhi tour, you will be taken to Bangla Sahib Gurudwara to see and understand the niceties and practices of Sikhism. It will be relaxed and leisurely tour and help you understand ‘exoticism’ of India. After visiting famous monuments of Delhi, later in the evening, return to hotel for overnight stay. You reach Agra in about four hours after departing from Delhi hotel, post breakfast. On arrival at Agra, you will directly be taken to Agra hotel. Optima representative will assist in your smooth check in. There itself, he will introduce you with your Agra tour guide. Agra, a tourist treasure, is a city of over a million inhabitants and lies on the banks of river Yamuna. As Delhi, Agra is an ancient city and was the capital of India for a century and a half during the Mughal rule, until 1650. Agra was attacked, sacked and ruined by successive wars. What now remains of Agra is a neglected but with spectacular monuments, heritage of an imperial past city. Having relaxed for a while, move along with Agra tour guide to visit famous monuments and market of Agra. Agra, the seat of best monuments of Mughal era, has shot to fame for housing Taj Mahal, a specimen of unsurpassed architectural perfection. Taj Mahal is one of the most beautiful buildings in the world and is the summit of Mongolian architecture. The best view of Taj Mahal is grabbed at dawn. With the change of position of the sun, Taj Mahal reflects different tones of colour. Taj Mahal represents paradise and was built to house the lifeless body of the favorite wife of Shah Jahan. Her name was Begum Arjumand Bano a.k.a. Mumtaj Mahal. The construction of the monumental building in which over 20,000 people participated began in 1632 and continued for twenty years. It has a cast of precious stones brought from China, Tibet, Afghanistan and many corners of the world. 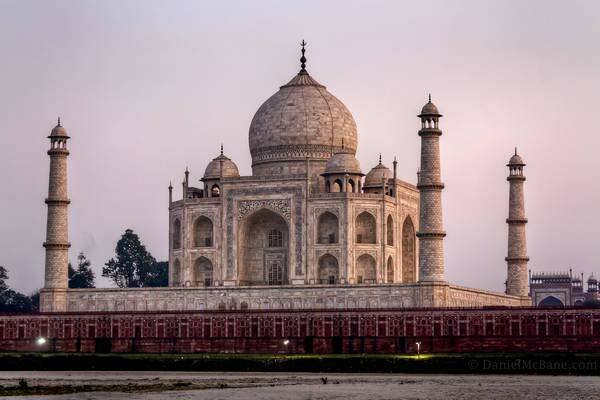 The Taj Mahal is always associated with the love story of Mughal emperor with his wife but more recent studies have revealed that the building configuration corresponds to Islamic ideas of the city of God. The Taj Mahal is closed on Fridays. Two kilometers from the Taj Mahal is Agra Fort, a military fortress erected in 1573 in the form of a crescent. Part of its attractions is not open to visitors, such as Pearl Mosque (Moti Masjid). Itimad-ud-Daulah, known as Baby Taj, is a beautiful tomb, surrounded by gardens and built for Mirza Ghias Beg, father of Jahangir’s favourite queen Noor Jahan. Later in the evening, after visiting monuments and exploring colourful market of Agra, return to hotel for overnight stay. Have early morning delicious breakfast in Delhi hotel, move for Jaipur- the Pink City – the capital of Rajasthan. On the way to Jaipur, 35 kms from Agra is located deserted medieval town of Fatehpur Sikri. Fatehpur Sikri was built by Akbar on a grandiose scale to make it capital his kingdom but due to paucity of potable water made him to re-look his plans. But the gargantuan and fine monuments are still well-preserved. Have a stop-over there and visit monuments-rich Fatehpur Sikri. 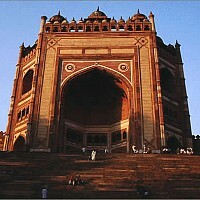 The famous monuments of Fatehpur Sikri include Buland Darwaja, Jodhabai Palace, Salim Chishti Shrine and Jama Masjid. After visiting Fatehpur Sikri, continue your drive to Jaipur. About 95 kms before Jaipur, is located a historical village of Abhaneri. This village tour will present before you ancient lineage of India in terms of cultural values, architectural gems and traditional rural lifestyle in villages of India. niscence about itself. After visiting Abhaneri village, move for Jaipur. On arrival at Jaipur, Optima representative will receive you and transfer you to Jaipur hotel. Our representative will ensure smooth check in at the pre-booked Jaipur hotel. Have relaxed overnight stay in Jaipur hotel. Have delicious and fresh breakfast in relaxed manner in Jaipur hotel. Jaipur tour guide will meet you in hotel lobby. Along with guide, move for Jaipur city sightseeing. 1st day Jaipur tour includes visit to City Palace, Jantar Mantar (stone built ancient solar observatory), Hawa Mahal (Palace of Winds), Albert Hall Museum and Birla Temple. First you will be visiting cluster of three monuments City Palace, Jantar Mantar and Hawa Mahal. The City Palace, erstwhile a royal palace, has now been converted into a museum (called Sawai Man Singh). A sort of fortress, a part of City Palace is still home to royalty. 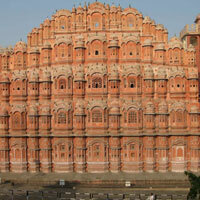 The Hawa Mahal is called the Palace of Winds and offers the best views at dawn. 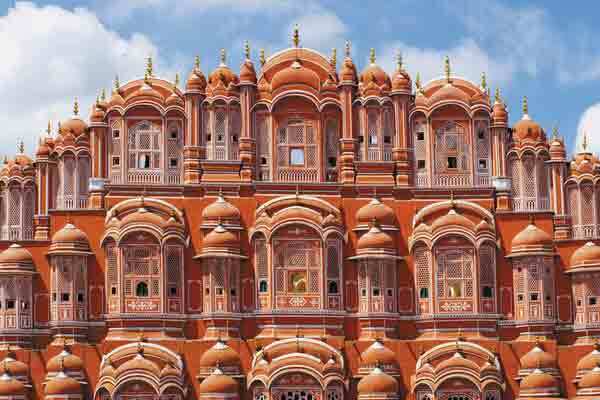 Historians say that many windows of Hawa Mahal were intended to allow women courtesans observe public processions without leaving the Palace. The Jantar Mantar is an astronomical observatory. The Maharaja, in his fascination with the heavens, invented several devices for observing the sky and planets. Samrat Yantra is a remarkable device to behold. After visiting these monuments, explore local market of Jaipur. Have lunch in nice restaurant of Jaipur. Again, along with tour guide, proceed to visit Albert Hall Museum. Thereafter, you will be taken to Birla Temple to attend evening ‘aarti’. After watching royal monuments, bustling market and auspicious ‘aarti’, return to Jaipur hotel for overnight stay. The excursion to three prominent forts of Jaipur will begin after early morning breakfast. Have breakfast in Jaipur hotel and proceed for exploring rich heritage, royal past, glorious history and refined craftsmanship of Jaipur while making a tour of Jaipur forts. First and foremost, proceed on for Amber Fort excursion. Take an excursion to Amber Fort. Enjoy elephant ride ascent to the Amber Fort. After visiting Amber Fort along with Jaipur tour guide, move for visiting Jaigarh Fort which is still in possession of the Jaipur royal family. Here in after, drive for Nahargarh Fort. After forts visit, have lunch in any city restaurant and thereafter proceed to explore the market. Thereafter, you will be taken to late evening to attend the evening worship ceremony of Govind Dev Ji Temple. It will be a mesmerizing experience. After visiting famous monuments of Jaipur, return to Jaipur hotel for overnight stay. After rejoicing delicious breakfast in Jaipur hotel, depart for New Delhi. On the way to Delhi, about 40 kms from Jaipur is situated a rustic town of Samode, an erstwhile principality within Jaipur kingdom. Samode is famous for its sturdy and beautiful fort palace. Visit Samode Palace and Samode Bag. Have lunch in Samode Palace and move for Delhi. On arrival at New Delhi, you will be transferred to Indira Gandhi International airport to board flight for your onward destination. Total night stays: 05 (Delhi-02; Jaipur-02, Agra-01). Manual rickshaw ride in historical marketplace of Chandni Chowk to have a peep into vestiges of medieval era of India. Visit and exploration of narrow alleys, humming with social activities, while riding on man-pulled tri-cycle rickshaw. Attend and relish two different kinds of ‘aartis’ in two iconic and most visited temples of Jaipur- Birla Temple & Govind Dev Ji Temple. Buy clothes: if you are a hippy-ish, in India, you will find all kinds of clothes and decorations at very economical prices. Go to the cinema to see a movie of Bollywood. Cinema for the Indians is another concept, contrary to Europeans and Americans. We, Indians, are not quiet as the westerners. Rather, we participate in movie cheering, clapping, cheering ... an authentic experience. A picnic in evening in Chokhi Dhani to have a larger and cursory look of culture, traditions and colours of Rajasthan. Delhi:Street foods/snacks like ‘tikki’, ‘chaat’, ‘Dahi Bhalla’, ‘pao bhaji’, ‘fruit chaat’, ‘rabdi faluda’. Goa:Eating out in restaurants having themes of Rajasathani village life- Apna Gaon & Chokhi Dhani.